How to generate energy with a bladeless windturbine. The team from Vortex Bladeless are developing a windturbine without any blades. But can such a system generate energy? When wind blows over cilinder it can generate a repeating pattern of swirling vortices caused by the unsteady separation of flow of a fluid around this body. This causes the object to oscillate and you can use this movement to generate energy. This theory is named after the engineer and fluid dynamicist Theodore von Kármán. You might know this principle for such phenomena as the “singing” of suspended telephone or power lines, and the vibration of a car antenna at certain speeds. It can even have a devastating effect. 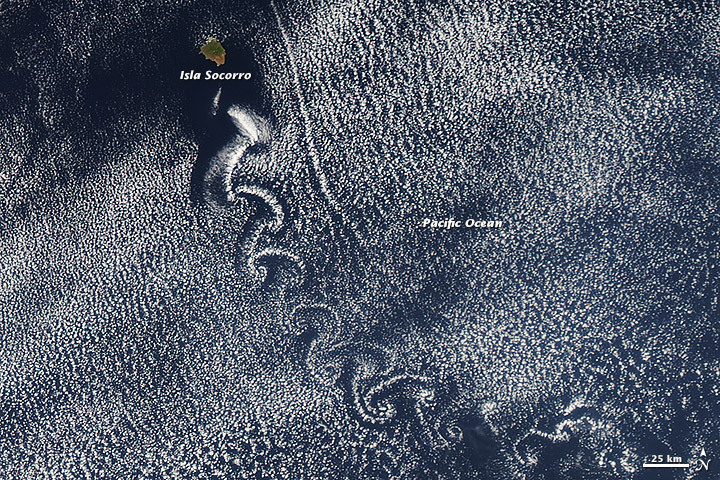 You can even see this happening from space, like wind blowing over islands. Although I like the idea, I’m a bit sceptic about the efficiency of this system compared to the traditional windturbines. What do you think?